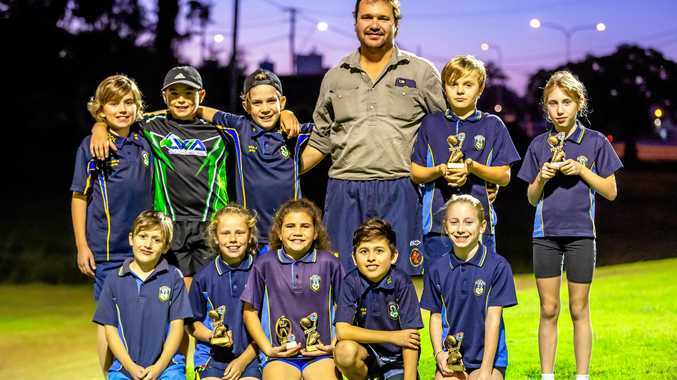 THE Gympie junior touch grand finals ended the season with a thriller at Albert Park on Wednesday afternoon. All three grand finals hung on a single point, which had supporters on the edges of their seats. Pool A, 10 to 12-year-olds had St Pat's Lightning defeating Jones Hill 5-4. Male player of the final was Zac Ward, and female player of the final was Moondara Mason. The speedy Lightning squad was no match for Jones Hill. After an extra-time defeat of Jones Hill 2, nothing was going to get in their way. Go West 2 were victorious in Pool B, defeating St Pat's Thunder 4-3. Male player of the final was Aiden Whiteman, and female player of the final went to Eon Fleming. The excitement of the first two games did not escape the 8 to 9-year-olds final, which ended up going into extra time. St Pat's were too strong for Team Spirit, winning 6-5. The male player of the final was Elliott Nolan and female player of the final was Murraya Buckley.